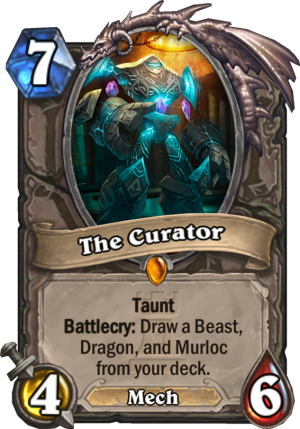 The Curator is a 7 Mana Cost Legendary Neutral Minion Mech card from the One Night in Karazhan set! Taunt Battlecry: Draw a Beast, Dragon, and Murloc from your deck. Rating: 3.8/5. From 909 votes. I would put this in renolock easily. I don’t think you should put Alex or Death Wing in Renolock. Deathwing discards everything and you’ll never win without your card advantage, and Alex just doesn’t seem to fit in the deck in my opinion since you already have Jaraxxus who can heal you can give you a powerful hero power and weapon. I would just run Twlight Drake as it’s already run in most versions of the deck. That’s 14 (18) damage guaranteed on turn 10. Plus choosing Sir Finley Mrrgglton and getting either Hunter, Mage, Druid, or Rogue hero powers, combined with playing Fencing Coach (makes hero power costs 2 less) prior to turn 9, gives you a min 15 damage and max 20 on turn 10. * Don’t draw The Curator by turn 8. * Opponent has too much armor. * Don’t draw Charge by turn 10. * Reno / Massive healing. * Drawing key cards too early. The opponent will have to use resources getting rid of The Curator and Alexstrasza and hopefully they won’t have the mana or cards to play taunts or find a way to put you within lethal. Ironbeack Owl could be back. Tha card art is pretty cool. This card would see play In my Murloc pally and probrobly my hunter seems good for when you are losing to draw three cards of a specific type is pretty good, also this would be an amazing card for topdecking as it refills your hand. I would find this card useful In most matches I play. Sir Finley Mrrglton. Fierce Monkey, Drakonid Crusher. These are the three best cards this card can hit. 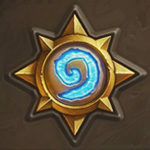 What type of decks want to play Sir Finley Mrrglton, Fierce monkey, and Drakonid Crusher? Bingo. This card is going to replace Malkorok in Tempo Warrior decks. Wow, great observation! This is going to push Tempo Warrior over the top…as if it wasn’t already! lol. Gives Reno decks a nice boost. don’t see much Reno outside of Warlock. Murloc Pali. 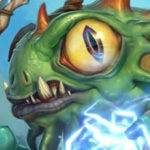 Murloc Pali ALL THE WAY, especially with the new Heal – Discover card. Dragon: Azure Drake (Eh, staples a staple) / Chillmaw (If N’zoth Shenanigans) / Alexstraza (Curves REALLY well into either Anyfin or an Emergency Heal). This works pretty well … and with Steward of Darkshire you can actually get some use out of Onyxia. I’ve a single dropped Mukla’s Champion in as well, which happens to be a beast. Best combo I’ve pulled was having the Steward on the board (only minion after a board clear) which survived until my turn, then into Onyxia to give me an 8/8 a 3/3 and 5x 1/1 with divine shield. Instant board control followed up with Mukla’s Champion next turn. gg wp. Murlocs : Murloc Knight, Murloc War-Leader, Bluegill Warrior and a single Vilefin Inquisitor. Dragon Warrior: Already runs a murloc, and dragons, some aggressive beast or just a strangle thorn, maybe owl? This post makes me so excited for this card lol. It’s like full-power NEUTRAL Ancient of Lore. And you’re not excited about Murloc paladin? D: I think this card will greatly increase the power of the deck. Card draw plus it’s a taunt which fits with the defensive playstyle. 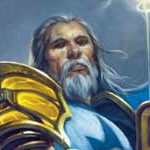 Pally could run Murloc Knight and Dragon Consort. They might be good enough given the circumstance. It is pretty good. Even drawing just two is enough. 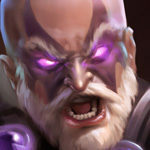 Is like the ancient prenerf with taunt and 4\6 intsead 5/5. Azur and Kodos is pretty strong and can be used in a lot of decks. In pala murlock you cand draw the three, is a must in that deck. Maybe other combinations can appear but i imagine this card will be important if kodos still beeing good. In Reno’s decks is good, Azure an Kodo for example, and 2 cards less in the decks. Murloc Paladin. One of the two Murlocs and Stampeding Kodo. Preeeeetty good. For the dragon, maybe Chillmaw for N’Zoth? Not sure about the dragon, but a 7 mana 4/7 Taunt draw two cards is busted.